IMPORTANT: THIS PAGE SHOWS ONLY 48 of the 116 POSTERS WE OFFER. 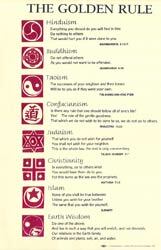 To view ALL the posters we offer, go to the page titled "All Posters." 24" x 36" • Offset lithographed • LAST 80 PRINTS now in stock from publisher; this will not be reprinted. 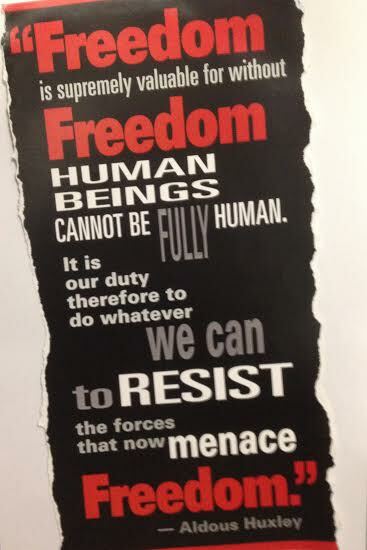 Poster created by a button collector and activist from his personal collection of hundreds of buttons from the 1960 to 2003. 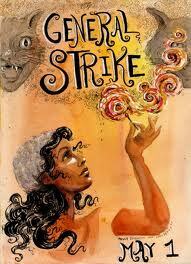 From Malcolm X to Generation X...from Black Power to nuclear power – this is the poster that took 43 years to create. Even if you don't agree with the protests, events and demonstrations featured on these buttons, no one can argue that this contemporary art work is sure to spark conversation. With over 370 original buttons and 260 historical footnotes, this colorful art print poster is everything but black and white. This poster is not sold in stores or other catalogues. An impressive and colorful graphic history of American progressive causes of the late 20th century. A fascinating addition to any classroom, dorm room or home. "The World According to Area, Population, Wealth"
This poster map encourages critical thinking and global awareness. The poster features three versions of the world according to area, population, and wealth. Shown together for easy comparisons, the visual impact is stunning and provides a powerful and provocative lesson. Black type and maroon images on Recycled natural 80-pound stock • 11" x 17 • Best-selling poster, fewer than 8 left. 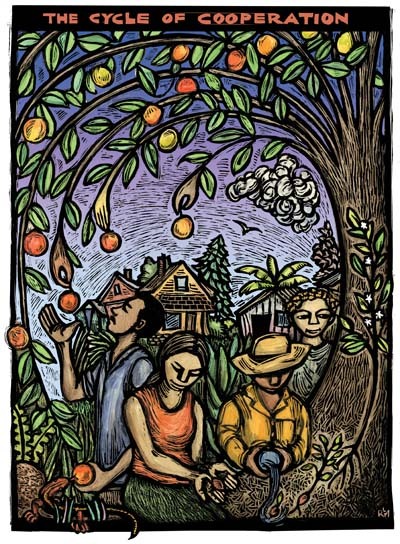 Earth Wisdom: Do one of the above; / And live in such a way that you will enrich, and not diminish, / Our relatives in the Earth family / Of animals and plants, soil, air, and water. 11" x 17" • Hand silkscreen printed on ivory textured matte finish poster stock. 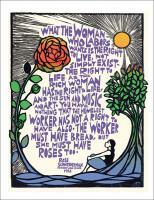 Designed and union-printed by Ricardo Levins Morales. This beautiful hand lettered text was inspired by the famous quotation from the journal of Pastor Martin Niemoeller, who was imprisoned in a Nazi concentration camp in World War II. This present-day revision of the text updates the meaning while honoring the spirit of the original words. 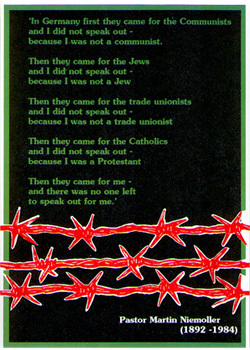 See our other poster, item # P-NQ, for Niemoller's original quotation which inspired this updated version. 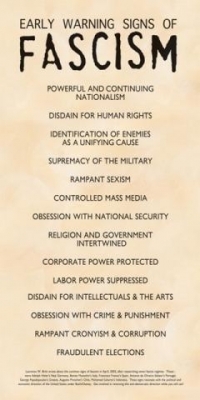 Laurence W. Britt wrote about the common signs of fascism in April, 2003, after researching seven fascist regimes: Hitler's Nazi Germany; Mussolini's Italy; Franco's Spain; Salazar's Portugal; Papadopoulos' Greece; Pinochet's Chile; Suharto's Indonesia. Post this when then most people will be able to read it and realize that it applies to our own "Homeland" (the same word the used to describe their nation). 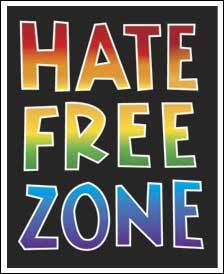 Put this poster up in community centers, clubs, town halls, libraries, schools, workplaces, churches, synagogues mosques. • Also available ads a postcard: P-EWSF For more info & to read the text click on the link below . . .
Our nation outspends every other nation on earth, combined, in on war and preparation for war. It's a war and militaism dependent economy. No wonder we have had war on a nearlty continuous basis since W.W. II. This poster shows the countries we've waged war against. Simple yet powerful graphics tell the grim story of our national addictioin to war. Quote from Wade Davis • 12" x 24"
4.5" x 39" long • 2009 • Matte finish cardstock, fan-folded to 4.5" x 9.75"
Here's a low-cost gift that will be treasured for years. Kids love to check to see how tall they have grown. Parents need more opportunities to talk about virtues and character with their children. We've put these two together to create a growth chart that includes seventy child-appropriate positive attributes – one every half-inch from 36 to 70 inches. • Click on title of this item for the rest of this description. 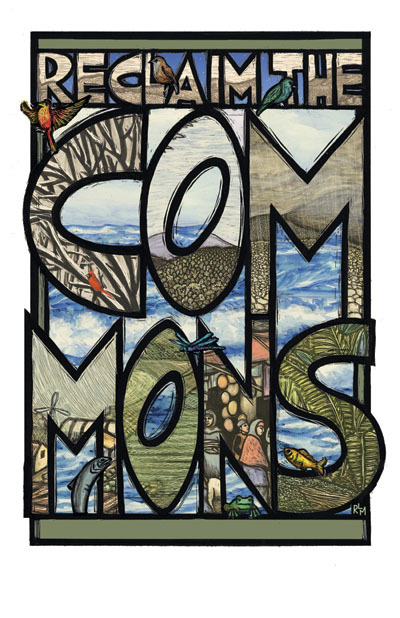 In an age of corporate commercial privatization of nearly every institution once held in common for the use of all, we need to reclaim and retain as part of our commonwealth all such essentials as water, roads, parks, and more. Social progress for humanity did not happen by itself and it will not defend itself. 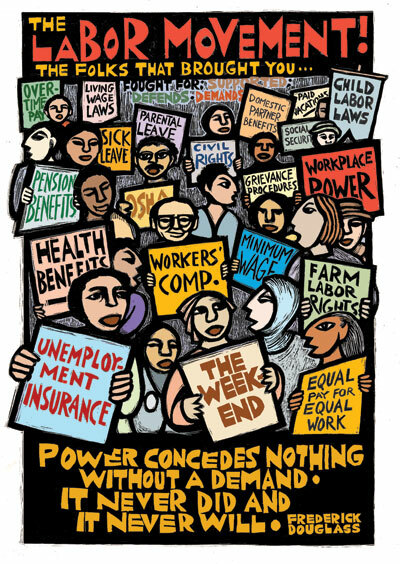 Organized workers struggled long and hard for every workplace gain that's been achieved. Only organized people can do that. 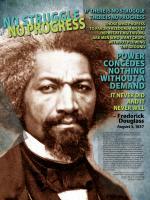 "...Power concedes nothing without a struggle. It never did and it never will. - August 3, 1857" Biographic notes on poster outline many facets of this remarkable man's life: abolitionist, women's rights advocate, orator, publisher, theoretician. Sponsor: Onondaga Historical Assoc. Dorothy Day, the radical Catholic Worker activist at a United Farm Workers protest in Lamont, CA in July, 1973. Print run: 1,000 copies. 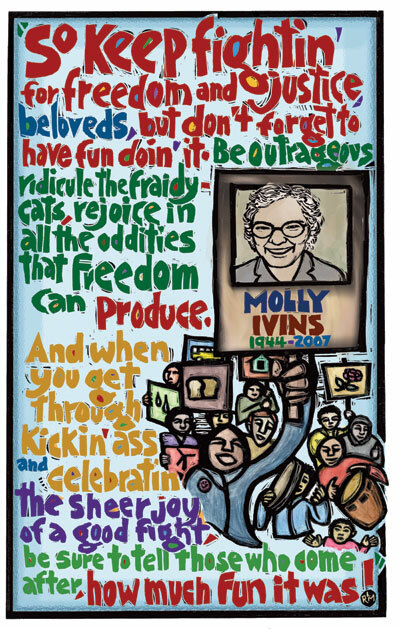 The words of the late progressve writer Molly Ivins (1944-2007) to inspire us in our lives. 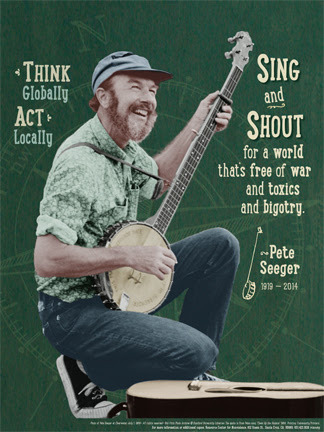 This photograph of Pete Seeger was taken when he was fifty in 1969, three years past the halfway point of his 94 year life, which spanned most of the 20th century and influenced folk music as well as the peace, social and environmental justice movements of the last half century. Thank you, Pete, for your service to both your country and the world, as a global citizen. 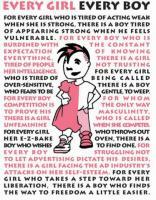 Expand the conversation around gender! Poster: Columbus did not discover the new world, he invaded it. 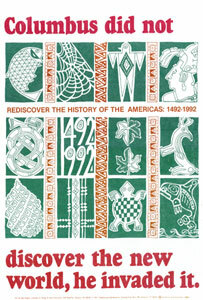 11" x 17" • 1992 • designed for the 500th anniversary of the 1492 arrival of Columbus, and the subsequent exploitation, enslavemnent and death (by European diseases such as smallpox) of the indigenous Taino people in the "new world." • offset pinted on a textured 70 pound Talc-colored cover stock. 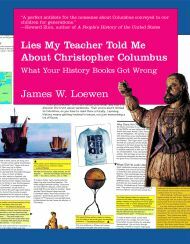 by James Loewen (author of "Lies My Teacher Told Me: Everything Your High School History Textbook Got Wrong" and "Lies Across America: What Our Historic Sites Get Wrong") • 9 pages • 8.5" x 11" • Includes a 22" x 34" full color poster, "The Truth About Columbus" printed on nontear material. The poster is folded to fit in the back of the book. 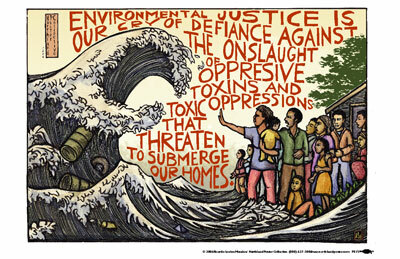 2008 • 11" x 17" print • designed by Ricardo Levins Morales. 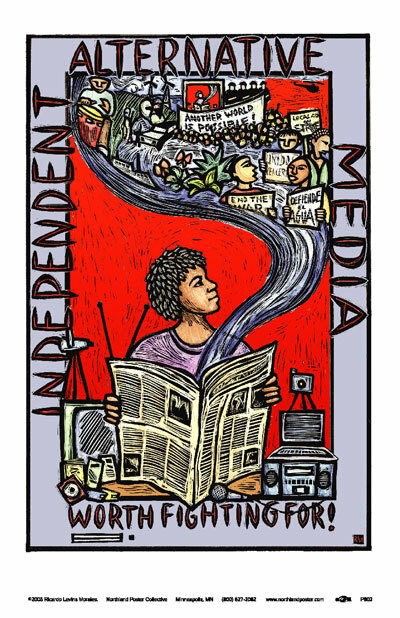 Whether it's magazines, weekly papers, pirate low-power radio, cable TV channels, or internet broadcasting, alternative media tell our stories when the mainstream media does not. And alternative media is increasingly under attack. In deference to her passing (ironically on Holocaust Memorial Day), the poster is now 60% off, down to the price it sold for back in 1981. We'll throw in a second one free, so you can give it to a friend or use it as a litter-box liner, or cut and fold to make into origami paper cranes. A classic from the resistance movement during the Reagan era. Last remaining copies of the original U.S. imprint run of this satiric take-off of the "Gone With The Wind" movie poster. Lots of humorous details. When these are sold out, they're gone ...with the wind. 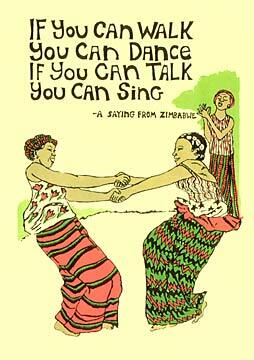 Originally abvaialble oly as a postcard (PC-HA) this now now available as a small poster print. 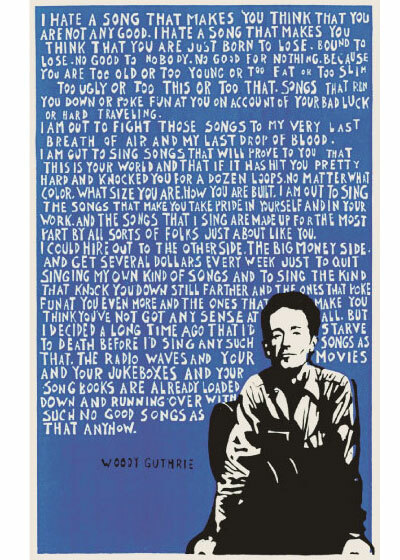 Bastille Day (July 14th) 2012 marked the 100th anniversary of the birth of the legendary American folksinger/songwriter, troubadour, friend to the downtrodden – Woody Guthrie. 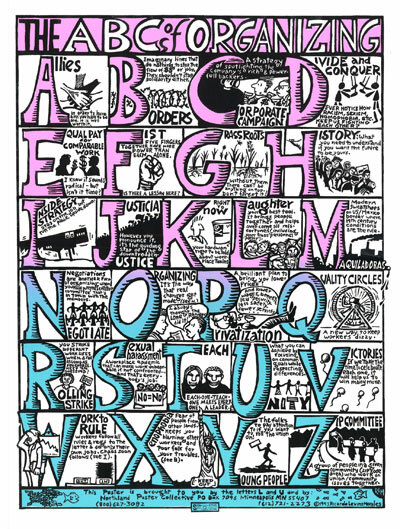 24" x 36" • 100% post-consumer recycled 100 pound weight print stock • by Donna Tarbania, Karen Kerney (illustrations and design), Dik Cool and many friends © 2010 • Green living defined letter by letter with 26 illustrations. • Click on the title to see an enlarged version of the poster that's legible. Stunning, vibrant design! 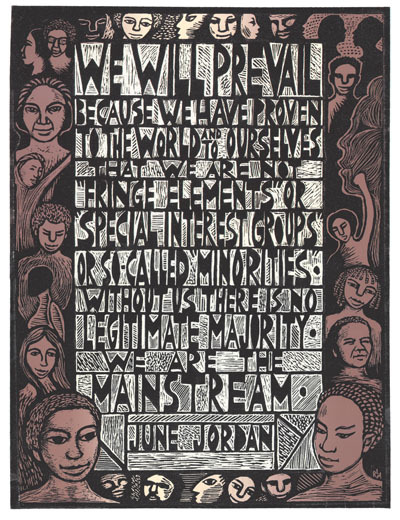 Graphic artist Ricardo Levins Morales created this print using the words of the late poet Audre Lorde: "When I dare to be powerful – to use my strength in the servce of my vision, then it becomes less and less important whether I am afraid." . . . words to grow, thrive, and live by! Eye-catching bright solid colors on contrasting black heavy poster stock background. 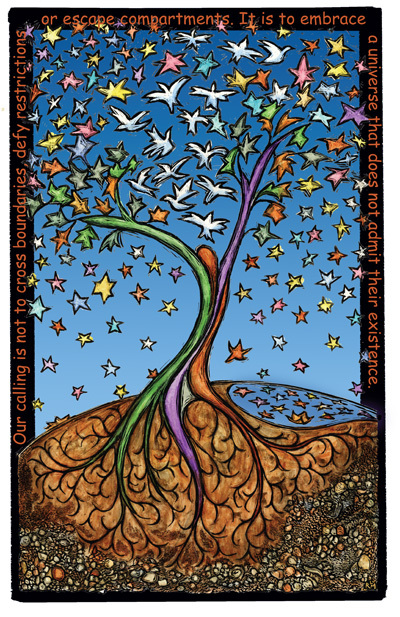 "Our calling is not to cross boundaries, defy restrictions or escape compartments. It is to embrace a universe that does not admit their existence." Text reads: "Freedom is supremely valuable for without Freedom human beings cannot be fully human. It is our duty therefore to do whatever we can to resist the forces that menace Freedom." "Mis manos son lo único que tengo, son mi amor y mi sustento." This is a quote from the popular Chilean singer-songwriter, Victor Jara, who was arrested, imprisoned among thousands of other leftists in the national stadium where he was tortured and had all his fingers broken. The military guards then said "Play your guitar now!" and Victor did with broken fingers. The guards shot and killed him in front of the thousands of others they had rebounded up to torture and murdered. This owas one of the moist brutal coups ever backed by the U.S. government. The Chilean military bombed the Presidential palace on September 11, 1973 in a CIA-backed Coup D-Etat that overthrew the democractically-elected Socialist President. Salvador Allende. Henry Kissinger and the Nixon administration in the U.S. supported this coup, and for the next 19 years Chile was ruled by the fascist government of military General Augusto Pinochet. 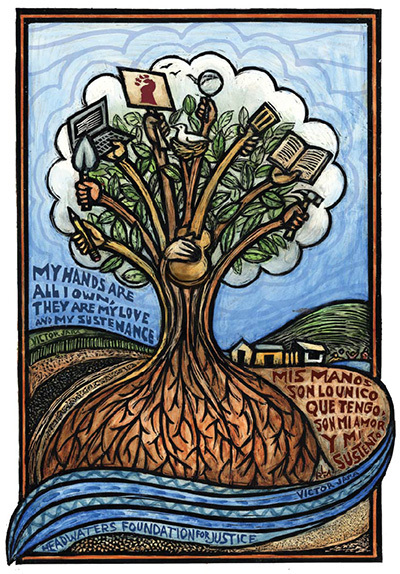 The ttory behind Victor Jara makes his words about his hands so much more powerful. For n outstanding a docudrama about the September 11th Chilean Coup, see the Academy Award-Winning 1983 film "Missing" by Costa-Gavras. We carry the DVD. 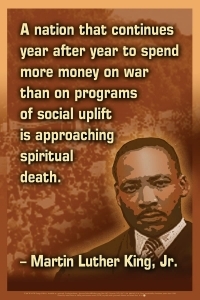 Poster: "A Nation that continues year after year to spend more money on war than on programs of social uplift is approaching spiritual death" – Martin Luther King, Jr.
12" x 18" poster • 2016 • Martin Luther King quite on the U.S. war budget. 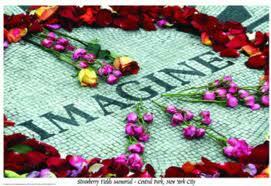 P-JLSF-IMAG • 24" x 36" • 2013 • photograph of inlay at Strawberry Fields, the memorial to John Lennon (1940-1980) in Central Park, N.Y.C. Mini Hanging Accordion-Style Mini-Poster: "Greetings & Thanks…"
Renewable energy is generated from natural resources such as sunlight, wind, rivers, oceans and geothermal heat, which are naturally replenished. Unlike fossil fuels (coal and petroleum products), renewable sources of energy (solar, wind, water and geothermal) are clean and do not pollute the air, water or land. 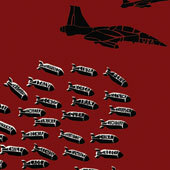 Poster: "In Germany they first came for the Communists..."
18" x 24" white gloss 80 pound stock. Quotation from Pastor Martin Nielmoller (1892-1984) He survived internment in a Nazi concentration camp. Text on poster: "In Germany they first came for the Communists, and I did not speak out - because I was not a Communist. Then they came for the Jews and I did not speak out - because I was not a Jew. Then they came for the Catholics and I did not speak up because I was a Protestant. 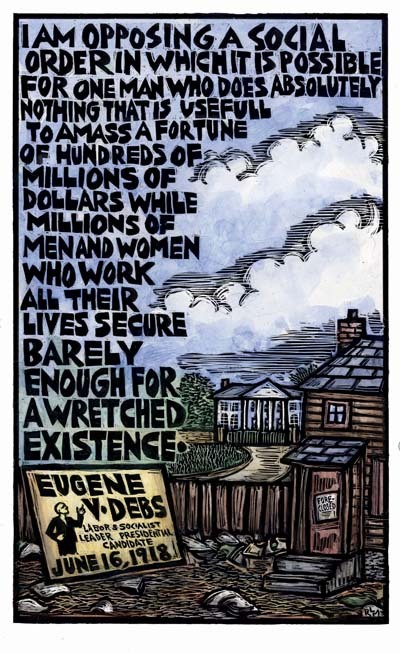 This quotation is widely used to voice the need for unity and supporting one another under authoritarian governments and is a popular model for describing the dangers of political apathy. Repression always begins with specific and targeted fear and hatred which soon escalates to encompass more and more targeted groups. 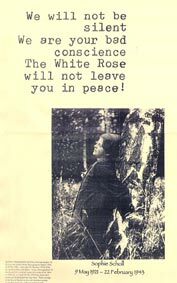 The White Rose will not leave you in peace!" Sophie Magdelena Scholl, German student & Co-founder of the White Rose group in Munich 1942. With her brother Hans and others wrote, mimeographed & distributed thousands of copies of a series of six fliers in 1942-43. Arrested 18 Feb 1943 they were tried, sentenced & beheaded five days later. Their courage in the face of facism as the only resistance group inside Nazi Germany will never be forgotten.